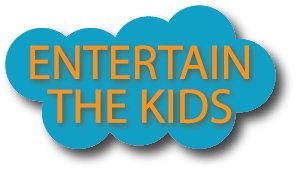 Entertain the Kids have been invited to review Cirque Berserk on Saturday 14 February 2015. JonB is so excited that we thought "why not tease him a little with some preview information"
We've also been given the opportunity to run a competition for some free tickets including back-stage passes (more about that on another post) but you must be quick to reply "you've got to be in-it-to-win-it". favourite contemporary thrill circus embarks at last on a nationwide tour. Combining contemporary “cirque” style skills with off-the-scale thrilling stunt action, Cirque Berserk is a danger-filled spectacle that will amaze audiences of all ages. Presenting the world’s most dangerous circus act, the legendary Globe of Terror, with 3 motorcyclists speeding at over 60mph inside a steel cage, seen for the first time live on stage in the UK (“off the scale awesome” – Daily Telegraph). Plus a troupe of over thirty jugglers, acrobats, aerialists, dancers, musicians and death-defying stunt men are joined by award-winning physical comedian Tweedy (“The best Clown I have ever seen” – The Guardian). YOU could see the show FREE and win a unique prize – just enter our READER COMPETITION!